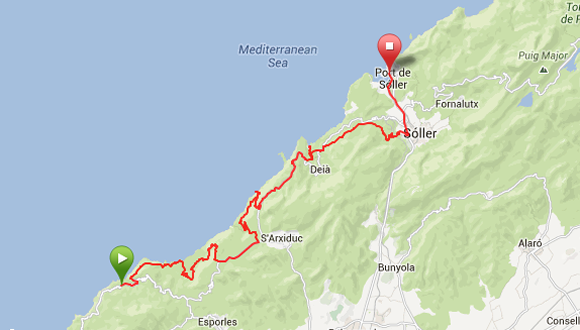 Go across the Sierra de Tramuntana from one end to another. This is a challenge that will allow us to enjoy spectacular views of the mountain range which was recently declared part of the world heritage. 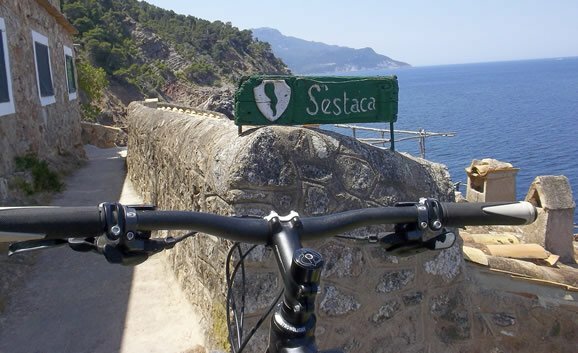 The Travessa is a route for medium/high level cyclists, where cycling becomes a pleasure as your effort is always compensated by an unbeatable climate, spectacular light and views surrounded by the Mediterranean. In order for you to enjoy the incredible surroundings and the 150 kms of routes, as well as the accumulated climb of 4.400 m, we would advise you to divide the route into three stages, and an adjoining route, which goes through the north face of the Sierra, beginning at Pto Andraitx, situated on the west of the island, taking the north west direction, which is the natural route of the Sierra, then finishing in Port Pollensa. Mixing high mountainous areas with incredible coves, of cristal clear water, all of this between zero and 900 m at the highest point of the route. The ground is a constant up and down hill with a variety of routes for all tastes. Running through virgin ground of the Poniente Mallorquin, beween beaches and cliffs with an average height of 450m above sea level, finishing at Banyalbufar, a small charming village on the coast. In Hotel Mar i Vent (1931), situated on front line, you will build up strength for the next stage. We cross the central part of the Sierra, arriving on many occasions at sea level, and all the time admiring lovely coves, small villages and Manor houses in the depth of the Sierra. Finally arriving at Soller, this is the emblematic capital of the Tramuntana, where you will find a quaint fishing port and a well deserved rest in the hotel on the beach. Arriving at the highest point on the route, where the ground is surprising for an island. This is the unspoilt Mallorca, visiting the Lluc Monastery , a pilgrims sight. 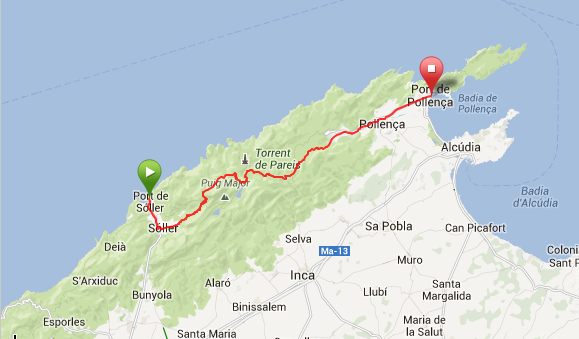 Finishing with a long, exciting descent which ends in Pollensa, an old Roman village and finishing at the beach, next to the port. Finishing on the port beach. Contact us for personalized prices. Includes: Three days on guided route, two nights in a hotel , insurance acc, technical assistance (parts not included) , transport pick up and drop off, transport of equipment and luggage. Bike Rentals (Consult models and availability). 6 people, minimun. For smaller groups make a request. We prepare your routes made to measure! If you prefer to do the routes by yourself, we will give you all the necessary requirements and support, Tracks, map of the routes, transport, more days on route…. As well, as being able to do the Travessa in one day, for the more experienced! For the more hearty, for those who the phrase: “I bet you won’t try…..” there’s no need to finish this phrase, as they have already started, Tramuntbike offers “NON STOP”. The three marvellous routes of the Travessa in one go. 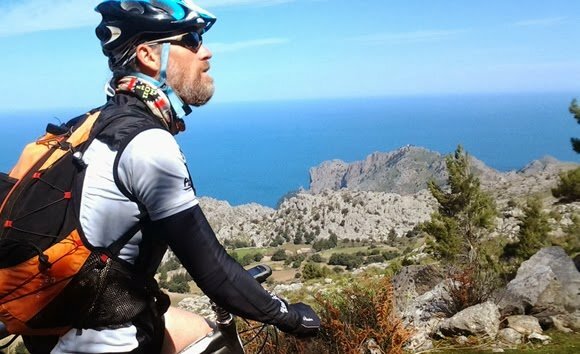 We want all bikers to enjoy the Sierra de Tramuntana, we can assure you that if you enjoy a challenge, this is a good occasion to put yourself to the test. 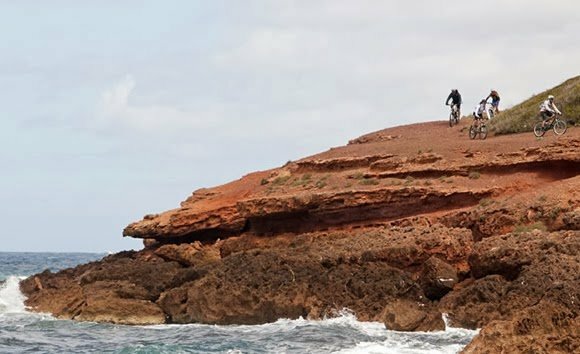 This entry was posted in Cycling Holidays, Mountain, Routes and tagged enduro. Eliminar ruidos en frenos de disco.